The botanical market is a market controlled by supply and demand. Even though the demand and usage have increased for medicinal products in the past few years, it is difficult to project what quantities will be in demand in the future. It also makes it difficult to plan cultivation. For this reason, wildcrafting has been the most successful way to meet the needs of the medicinal herb manufacturer. Instead of just being a bulk supplier of botanicals, herbs, and spices, we like to work with our collectors to help them prepare the highest quality materials. When the roots are gathered, they should be rinsed in clear water. After all dirt and tops are removed, lay them out to dry. Care should be taken so that the roots are spread out where the air can circulate around them. This prevents molding. DO NOT OVEN DRY OR SUN DRY GINSENG! We purchase only air-dried Ginseng. When peeling such barks as Wahoo, Black Haw, etc., care should be taken that the woody parts are removed. 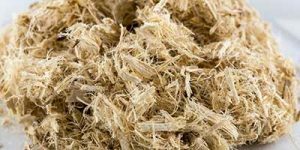 In preparing Slippery Elm Bark, be sure that it is rossed (outer bark is scrapped off). The rough coarse outer bark of Elm must be completely removed before drying and selling. Elm bark must be harvested early in the season when the bark is white. Do not harvest red or dark bark. Gather when the plant is in the seed or flowering stage. Dry out of the sun so they retain their original green color. 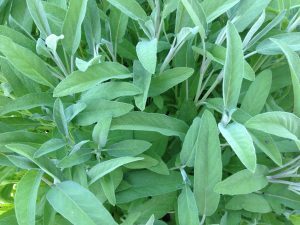 When gathering herbs, the plant must be cut where the first leaf begins to branch out. We do not buy the heavy stems of the plant. When leaves are wanted, we are referring specifically to the leaves and tender tops only. Herbs and leaves must be green in color when they are picked and heavy roots should be cut or split to dry. • Rossed bark is what is left after the outer bark is scrapped off. Unrossed bark is taken from the tree and left as is. • Herbs are the leaves, stems, and flowers of the plant. • If at any time you come across a plant that you do not recognize, you should submit a sample for our inspection. We are always glad to provide you with information you may need. 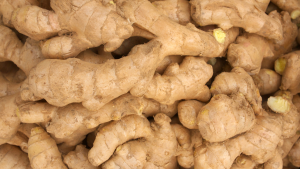 • As soon as your stock is clean, free of all foreign substance, and thoroughly dried (for only in this condition can roots and herbs be sold), pack it in strong burlap bags or boxes. Be sure to keep each article separate and advise us of what you are shipping. Please include name, address, and phone number. If shipping Ginseng, include the country in which it was harvested. • Since most of the roots and herbs that you harvest are used for human consumption, quality is very important. All roots, herbs, and barks must be prepared for the market to conform to Pure Food and Drug Laws. • All plant roots must be clean, thoroughly dried, and free of mold or foreign matter. Wet or excessively dirty goods will be refused. Obey the laws of nature and all federal, state, and local laws. Use common sense when collecting botanicals. Do not trespass. Obtain permission from landowners and permits from local authorities. It is sometimes helpful to explain to landowners that many of the plants we harvest are considered weeds and many are perennials that can be harvested every year. Harvest small quantities and replace foliage and dirt around the harvested area. Leave at least 20% of the plants intact to grow and leave mature seed producing plants to reseed the patch. When harvesting herbs, do not pull them out of the ground, but cut them off, leaving the root system intact for future growth. It is best not to harvest in the same patch every year. Locate two or three patches and rotate your harvests from year to year. Root Crops: When digging root crops, leave rootlets and broken roots in the ground. The digging aerates the soil and this helps regrowth. Leaves: Some seasons it is possible to collect two crops of leaves from the same tree or bush. Pruning usually encourages heavier growth the next season.